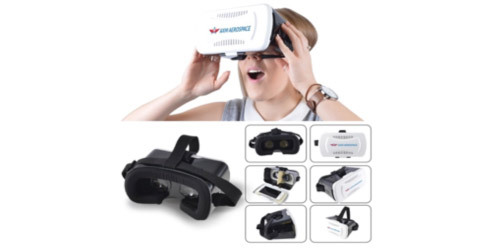 3D headset with fully adjustable lens position and head strap allow you to experience virtual reality with only your phone. Soft foam surround for head comfort. Simply start any virtual reality app, insert your phone in the headset and look through the lens to experience the virtual world. Fits most smartphones. Virtual reality Apps are available through Google Play or Apple App store. 360 degree videos available on YouTube.